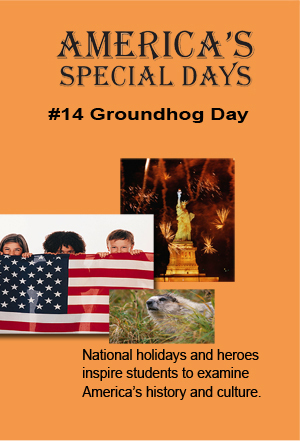 Your students go on a field-trip to Punxsutawney, Pennsylvania, for a thoroughly fund overview of the American holiday that revolves around a small brown animal’s ability to predict the weather, specifically, the end of winter and the beginning of spring. With verse, song, drawing, folktales and history the video documents the many ways people in Pennyslvania and otherareas celebrate Groundhog Day. Grade school children fro Texas ask a Punxsutawney expert some common questions aobut groundhogs in general and Phil in particular. A Chicaog zookeeper tells us more about the furry forecasters habits.